Spring! What a great time of the year to get back in the yard and do a bit of pool cleaning, especially if maintenance has taken a back seat through winter. Let our awesome BioGuard products put some of that springtime sparkle back in your pool. No one likes a clogged filter – it prevents the water from flowing freely and leaves your pool open to infection. Try using BioGuard Filter Brite – it’s an easy-to-use product that works to remove contaminants from the filter while sanitising. Particularly through winter, an unsightly line of dirt can form along the pool wall. To remove it, try using BioGuard’s SPA Squeaky Clean. 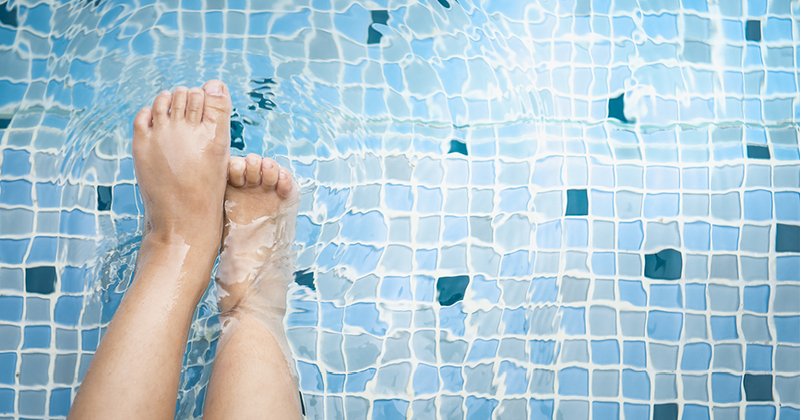 While it is typically a spa product, it’s also great for pool cleaning – removing stains, grease and common dirt from the pool wall; the longer you leave it, the worse it gets. Destroy chloramines and other undesirables that have built up over winter. As usage increases, it’s worth shocking your pool every couple of weeks to keep it looking pristine. We recommend using Burnout Extreme or BioGuard Salt Pool Sparkle. Come in and see us at Everclear Pool Solutions and we will test your water for FREE to ensure your pool is healthy, sparkling and algae free. We also offer on-site pool servicing, contact us to book yours in today.